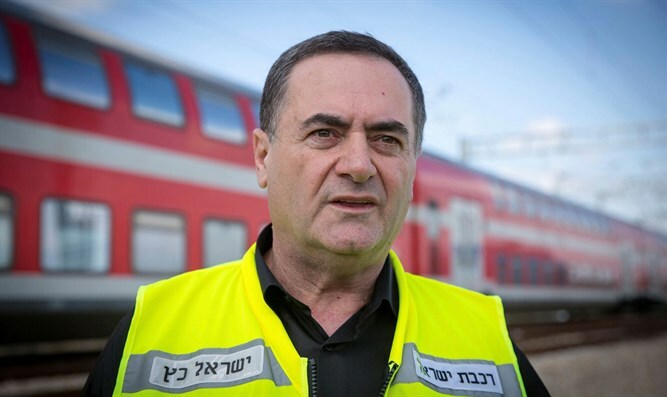 Transportation Minister Yisrael Katz is unafraid of criticism of his decision to cancel Shabbat work on Ayalon Highway. Transportation Minister Yisrael Katz says he is faced with criticism and pressure in light of his decision to cancel Shabbat construction of a pedestrian bridge over the Ayalon Highway. "I made a decision that's correct from a moral and professional standpoint. Tel Aviv Mayor Ron Huldai made a cynical political move and issued a provocative and outrageous statement about closing the Ayalon Highway for six weekends to accumulate political capital for the upcoming local elections and to hurt the haredim, but by the way he was willing to harm hundreds of thousands of drivers who travel on Ayalon weekends and that will not happen," Katz said in an interview with Kann Bet. "The reality on the Ayalon Highway in the coming months is that we are carrying out work to complete the express train line to Jerusalem. There was need to weigh the matter; the train would serve hundreds of thousands of people, unlike a pedestrian bridge. Anyone who criticized me has achieved nothing." Katz called the Tel Aviv-Jaffa municipality's announcement that construction of the Yehudit Bridge and closing the Ayalon Highway for six weeks to carry out the work an "outrageous and unnecessary" statement. He said the way chosen to construct the bridge seemed problematic and was liable to cause serious and disproportionate damage to the general public during weekends.